A big part of living in your dream house is your health and well-being. The air quality factor, including its purity and moisture levels makes every difference for your health, your belongings and even energy savings. 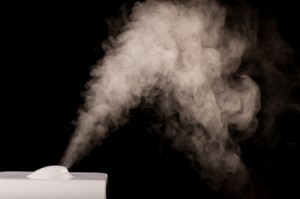 Discover the benefits of humidifiers and air purifiers to determine how to ensure your indoor air is at its best. Increased humidity, to a point, decreases your chances of getting colds or sinus infections during the winter, when dry conditions affect the air most. Dry respiratory tissue, susceptible to irritation and infection, can lead to these unwanted illnesses. Not only does added humidity help your lungs and sinuses, but it protects your valuable furnishings that can get damaged by dry conditions. They also keep your home’s paint and wood from cracking. In addition, adding moisture to your green home provides energy and heat savings during cold months. As humidity increases, you can feel warmer at lower temperatures. Air purifiers remove contaminates from the air. These devices are extremely beneficial to asthmatics and anyone suffering from allergies. Air purifiers can even capture various bacteria and viruses, decreasing sick building syndromes by eliminating VOCs. Manufactured as standalone units and as whole-house units that attach to ventilation and heating systems, they’re ideal for battling dust, pollen, pet dander, mold spores and dust mites, as well as smoke particles and VOCs (volatile organic compounds). These portable styles are for individual rooms of a house. Designed to make air cleaner and easier to breathe, they remove particles, odors and VOCs. Indoor air can be up to five times more polluted than outdoor air. No matter how clean a home looks, it still contains dust, dirt, and even chemicals, mold, mildew, viruses, bacteria, pollen and animal dander. Air purifiers, humidifiers and similar products all work individually to improve air quality. What product is right for your air quality? Important factors to consider include reliability, efficiency, quiet operation, consistent temperatures, balanced humidity, proper airflow and overall healthy air. Air purifiers clean indoor air, removing dust, smoke and allergens, while humidifiers add water to the air, but don’t clean it. As for drawbacks, some air purifiers can be noisy or produce ozone that affects the atmosphere, while humidifiers can create problems with standing water, which draws mold and mildew into your home if not monitored. Many air purifiers and humidifiers need regular maintenance, and some less then others. If this issue concerns you, seek out simple models that only require a filter replacement or minimal maintenance. Always check models’ specific consumer benefits and drawbacks when considering purchase. With simple maintenance and getting the right product for your home, you shouldn’t run into these problems. Learn More About the Added Benefits of Building A Sustainable Home Below!